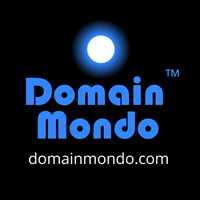 UPDATE March 21, 2015 see on DomainMondo.com: New gTLD AFRICA: DotConnectAfrica Trust vs ICANN, End of the Line?. Further updates following the April 4, 2016, hearing will be posted there. "On March 2, 2016, DotConnectAfrica Trust (“Plaintiff”) filed this Ex Parte Application for TRO. By way of this application, Plaintiff seeks an order enjoining Internet Corporation for Assigned Names and Numbers (“Defendant” or “ICANN”) from issuing the .Africa gTLD until the Court decides Plaintiff’s Motion for Preliminary Injunction, scheduled for hearing on April 4, 2016. "A district court may issue a TRO where the moving party demonstrates the need for immediate relief, and establishes that relief is warranted under one of the following circumstances. Under the traditional criteria, a plaintiff must demonstrate “(1) a strong likelihood of success on the merits, (2) the possibility of irreparable injury to plaintiff if preliminary relief is not granted, (3) a balance of hardships favoring the plaintiff, and (4) advancement of the public interest (in certain cases).” Guzman v. Shewry, 552 F.3d 941, 948 (9th Cir. 2009). Alternatively, “a court may grant the injunction if the plaintiff demonstrates “serious questions going to the merits” and a “balance of hardships that tip sharply toward” plaintiff, provided “plaintiff also show that there is a likelihood of irreparable injury and that the inunction is in the public interest.” Alliance for Wild Rockies v. Cottrell, (632 F.3d 1127, 1131-1132 (9th Cir. 2011). "Upon review of the parties’ arguments, the Court finds serious questions going to the merits. Plaintiff has demonstrated that once the tGLD [gTLD] is issued, it will be unable to obtain those rights elsewhere. Moreover, the injury it will suffer cannot be compensated through monetary damages. In opposition, Defendant states in conclusory fashion only that the African governments and the ICANN community will suffer prejudice if the delegation of the gTLD is delayed. ICANN Board Resolution March 3, 2016: "Resolved (2016.03.03.01), the Board authorizes the President and CEO, or his designee(s), to proceed with the delegation of .AFRICA to be operated by ZACR pursuant to the Registry Agreement that ZACR has entered with ICANN." ICANN dot AFRICA IRP: WHO Redacted WHAT In the Final Declaration?